A traditional Christmas Carol. This is one of the most popular Christmas Carols. The tune of the song is said to originate in Wales in the 16th century. If your going to learn this tune remember that the first and second lines are basically the same. 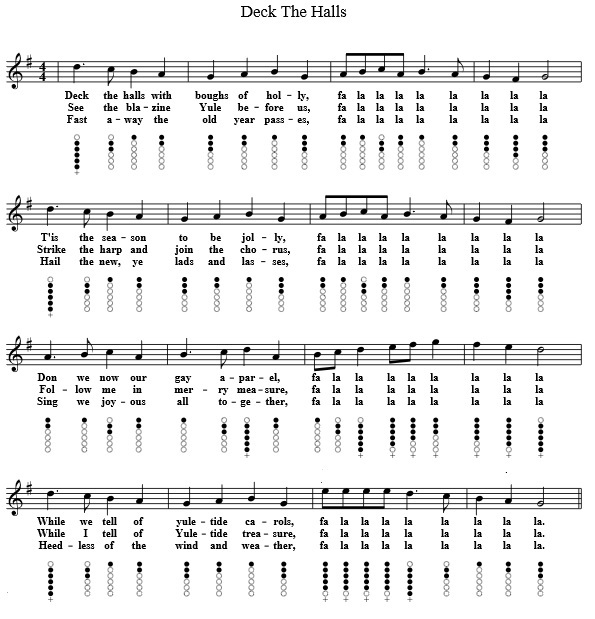 Deck The Halls Tin Whistle Sheet Music. Play this song on a D whistle. Here's another version without the lyrics included in the sheet music.